Botswana Safaris | Luxury Safari Experts | African Safari Co.
Botswana offers the ultimate African safari experience. From Africa’s most luxurious camps, such as Zarafa Camp, to adventure mobile camping safaris, this untamed African wilderness is home to the safari Big Five as well as wildebeest, antelope, primates and so many more. Botswana also boasts an impressive wild dog (African painted dog) population and is considered one of the top destinations to see them in the wild. Our favorite activities on safari in Botswana include gliding through the Okavango Delta flood waters in a mokoro canoe, boating along the Chobe River banks teeming with wildlife, walking safaris, horseback riding and quad biking at San Camp in the Makgadikgadi Pans and the Kalahari Desert. A safari in Botswana is a wildlife adventure fit for a first-time safari traveler or a safari veteran. Honeymoon safaris in Botswana are incredibly romantic and provide the utmost in privacy, while some camps focus on family-friendly safaris and allow children to participate in activities with specialist guides. Your safari in Botswana can be combined with a visit to the Victoria Falls in either Zimbabwe or Zambia and international arrivals are easy via Johannesburg. Botswana lies at the forefront of wildlife conservation in Africa with its no-hunting policies and important private programs such as Rhinos without Borders. The country has embraced a successful tourism model in which private conservancies limit the number of visitors and charge conservation fees to help preserve the intimate wilderness and wildlife experience. Set out on guided game drives, nature walks, boat safaris and mokoro trips to fully appreciate the legendary wildlife and awe-inspiring scenery that Botswana is known best for. Botswana’s Chobe National Park is home to one of Africa’s largest elephant population as well as huge herds of buffalo, zebra and several antelope species. The spectacular World Heritage Site, the Okavango Delta offers safari explorers an insight into one of Africa’s truly great wildernesses and freshwater wetlands still lying virtually untouched at the heart of Botswana’s arid Kalahari. This southern African country also boasts over 350 bird species making it the perfect safari destination for any bird watcher. If your safari focus lies more in Africa’s top predators such as the big cats, crocodile, hyenas and wild dogs, then Botswana is also one of the best African countries to see them. This perfect wildlife photographer safari destination and discerning African safari travelers, Botswana’s intimate and exclusive nature creates an epic scene for adventurous mobile safaris, family safaris, honeymoon safaris and vacation safaris alike. Botswana is custodian to some of Africa’s most remote, exclusive and luxury in stunning locations, making a Botswana honeymoon or romantic getaway a natural choice. Botswana offers a wonderful array of animals both big and small with accommodations to fit all safari styles and budget from luxury travel to essential adventures. Our African safari travel specialists have made planning a Botswana safari vacation simple. Our hand-picked camps and lodges come together in tailor made African safari itineraries to exceed your expectations and ensure that your trip is truly one of a lifetime. Botswana’s location also makes it surprisingly easy to add on other iconic Southern African destinations to your safari such as Cape Town, Victoria Falls or the Kruger National Park. 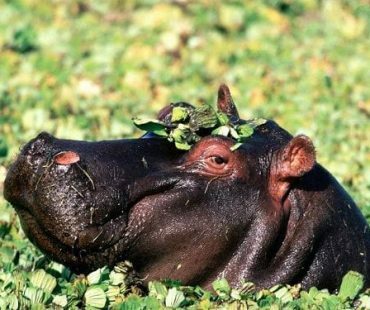 Browse our custom safaris or simply contact one of our African Safari Travel Experts for firsthand knowledge of the wonders Botswana and other African safari countries have to offer in creating the perfect Botswana safari for you!